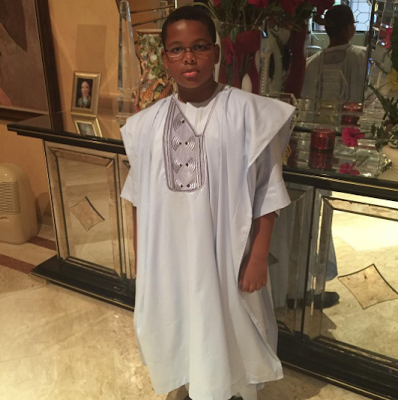 Actress/Beauty entrepreneur, Caroline Danjuma, took to her Instagram account this morning to celebrate the academic excellence of her son. "This boy right here is king.. every time I see his school result I cry .. I don't deserve u but I am extremely blessed to have you as my son .. I command heaven to favour you, uphold you , protect and guide you..